Discover The Wonders of Our Earth and the forces and life forms that shape our world with the Physical Geography Series. Running water changes the surface of the earth by cutting away rock in one place, carrying this load and then depositing it in another place. This program explores the relationship of running water to the land. Concepts investigated include suspension, solution, load, rapids, potholes, meanders, braided streams, deltas, alluvial fans, waterfalls and flood plains. The program also explores characteristics found in youthful, mature and old streams. 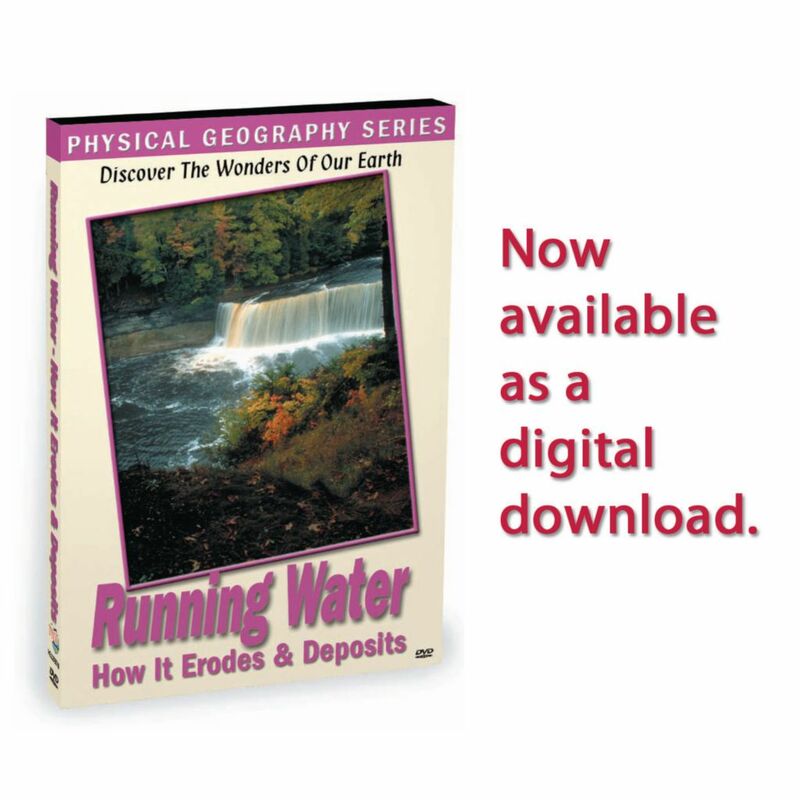 Subjects covered include: How running water is part of the Hydrologic Cycle, How water flows through a river or stream, Learn about LAMINAR, TURBULENT and JET FLOW, How a river’s velocity, gradient and discharge are measured, How a stream’s discharge is related to its width, depth and velocity.